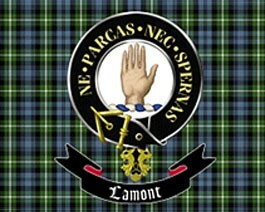 Lamonts are descended from the Scots who crossed the sea from Ireland. Their original name in Ireland meant law-giver. They founded the Kingdom of Dál Riata. 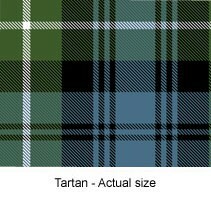 Their territory was in Cowal once stretching to Bute and Arran. The Chief was called Fearchar. He had two sons called Duncan and Malcolm, they granted lands to the Monks of Paisley. References to Lamonts were recorded as early in 1116. The name Lamont came from the name of Malcolm’s son called Ladman. Malcolm and his brother Duncan established their seats as Chiefs at the Castle Toward and the Castle Ascog. * Please note: this Lamont Clan Flag is only available in the 54" x 27" Flag and 27" x 54" Angle Flag styles. Other sizes can be custom made. Please contact The Flag Shop for more information.